Philadelphia City Councilman-at-large David Oh was stabbed in the back during an attempted robbery on Wednesday night. It happened around 9:45 p.m. on the 5800 block of Thomas Ave. in the Kingsessing neighborhood of Southwest Philadelphia. 57-year-old Oh was approached by a man as he exited his vehicle near his home. The man demanded Oh's keys before stabbing him on the left side. Oh has been transported to Penn Presbyterian Hospital and is in critical but stable condition. He was alert before heading into surgery. Police have not made any arrests. They are looking into surveillance footage from the area. Oh was first elected in November 2011 and reelected in 2015. He is the city's first Asian American councilman and is a veteran. He has made a name for himself supporting arts, culture, and the creative economy and, in particular, the local music scene through the PHL Live contest held every fall and through other council measures. "We are aware of a reported violent attack on Councilman David Oh near his home and are closely monitoring his condition. David is a valued colleague with a young, beautiful family. 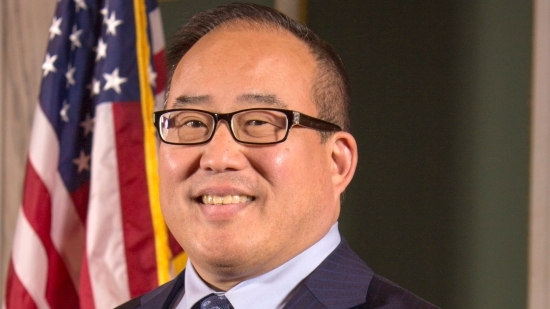 We ask all Philadelphians to keep Councilman Oh and his family in your thoughts and prayers." "We are all praying for Councilman Oh’s quick recovery and thinking of his family during this difficult time. Whenever violence happens on our streets it is a terrible tragedy. Anyone with information regarding this crime is urged to call 911."